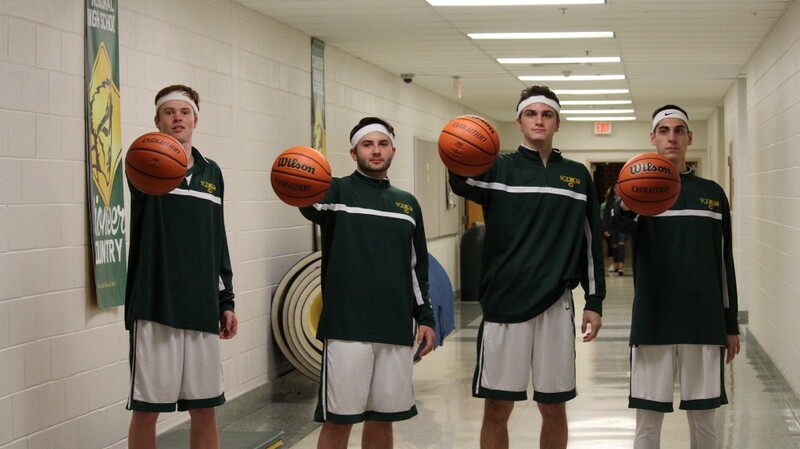 As the seconds tick off the clock of another high school basketball season, the Clearview Regional High School boys team can be sure the community enjoyed watching it play. This year’s Pioneer squad was led by four seniors: Jim Heise, Dan Sullivan, Alex Soriano and Marco Piccone. All four are planning to attend college next year. The team’s booster club, now in its sixth year, started a scholarship fund to assist the young men with higher education expenses. Sherri Piccone came up with the idea before the start of the season after looking into similar scholarship funds at other schools. Piccone’s son is a senior on the team. Tracy McNichols, a mother with a sophomore son on the varsity team, is playing an imperative role in making sure the fund gains traction and continues to grow. McNichols’ son Justin has hopes of playing basketball in college. For the first year, the booster club aimed to offer $500 to each player to go toward whatever the young man may need as he begins college. “Whether it be for books, gas money or whatever, we want to make sure they have a little something,” McNichols said. The money is coming from local businesses and organizations. “It means a lot. It means people are seeing children in the community succeed, and $500 is a lot of money to help them,” she added. McNichols is confident the scholarship will continue to grow, and, eventually, the booster club may hand future seniors more than $500 to get started in the next chapter of their lives. McNichols stated any extra money will be placed in an account for the following year. Rob MacKerchar, the team’s coach, said, “The booster club has been amazing. Our parents have been so creative and dedicated, and they enable us to do things as a program that I’d never be able to do myself. In a heartfelt reflection of his time coaching the boys, he had much to say about each player. Soriano missed a year of play due to injury and had to fight his way back into the starting lineup. The Pioneers first playoff game was scheduled for Tuesday, Feb. 27 against Atlantic City. Check www.mantuasun.com for results.